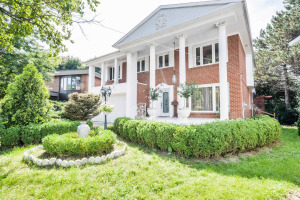 *Biggest Lot In The Area* Rare Opportunity To Own This Stunning Home In Prime North York. 4+1 Bedrooms, 4 Washrooms. Too Many Upgrades To List! 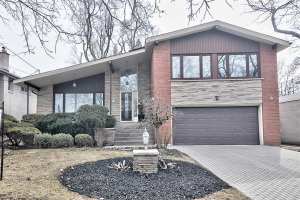 Walkout To Large Deck & Huge Backyard Ideal For Entertaining. Second Floor Skylight, Fireplace In Living Room, Bar In Finished Basement With 2nd Kitchen, Bedroom, And Washroom, Granite Countertops In Kitchen. Walk To G Ross Lord Park & Public Transportation. Included: Fridge/Freezer, Stove, Microwave, Dishwasher, Washer, Dryer, Security Monitoring System With Cameras, Basement Fridge/Freezer, And Oven. Excluded: Living & Dining Room Window Coverings.